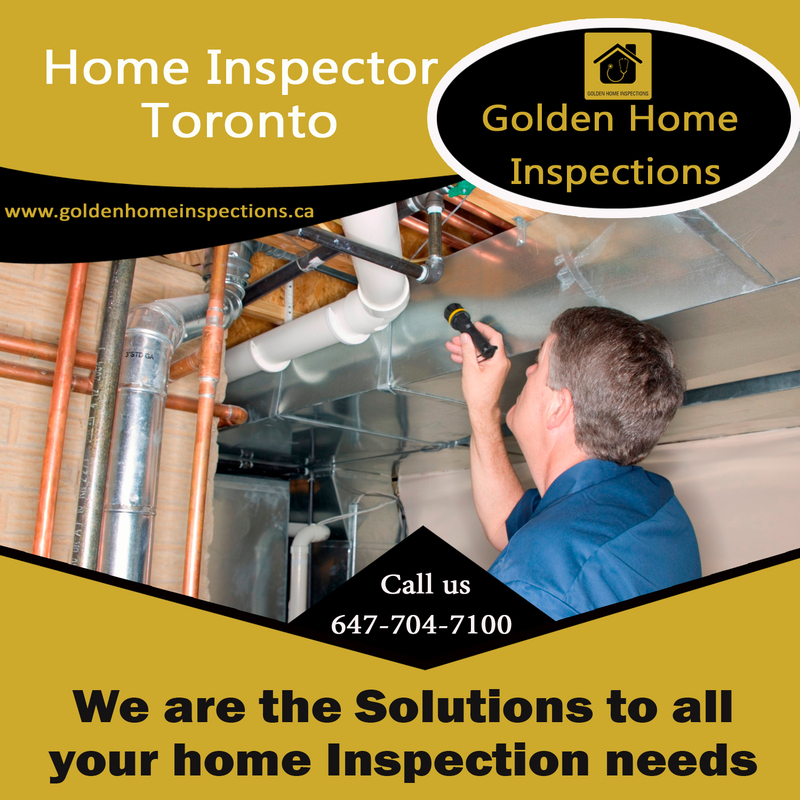 Golden Home Inspection: Home Inspector Toronto - What Does a Home Inspector Look For? 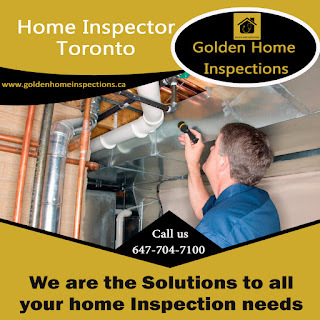 Home Inspector Toronto - What Does a Home Inspector Look For? Hiring a home inspector to check out a house before you buy it takes time, but it can save you big money in the end. A Home Inspector Toronto can check for major flaws that might need to be fixed. After all, even if a house looks like it's in great condition, appearances can be deceiving. Home inspector's discoveries can help home buyers big-time: Provided you have a home inspection in your offer, you can renegotiate with the seller to fix certain problems or to lower the price. Or, if the problem is more than you want to handle (think faulty foundation or roof on the verge of caving in), you can walk away from the deal with your deposit in hand. Either way, it’s a win-win for the buyer. Grounds: Home inspectors are looking for current or future water issues such as standing puddles and faulty grading or downspouts. They check out landscaping to see if trees and shrubs are in good condition and evaluate pathways, retaining walls, sheds, and railings. Exterior: The home inspector will look for siding cracks, rot, or decay; cracking or flaking masonry; cracks in stucco; dents or bowing in vinyl; blistering or flaking paint; and adequate clearing between siding and earth, which should be a minimum of 6 inches to avoid damage from moisture. Window, doors, trim: If you want to keep heat in, cold out, and energy bills low, windows and doors must be in good working condition. The Home Inspector Toronto will see if frames are secure and without rot, caulking is solid and secure, and glass is undamaged. Bring any and all concerns about the property to your inspector before he begins, so he'll keep a sharp lookout for possible problems. If the seller has disclosed damage, give your inspector a heads up about that, too. Another smart move is to accompany the Home Inspector Toronto during his rounds. It’s in your best interest to understand the home, its systems, and potential problems. For instance, an inspector can introduce you to electrical panels and shut-off water valves, and if he spots a problem, he can show you exactly how a system is malfunctioning and what it means. And this info will serve you well not only before you buy, but afterward as well.